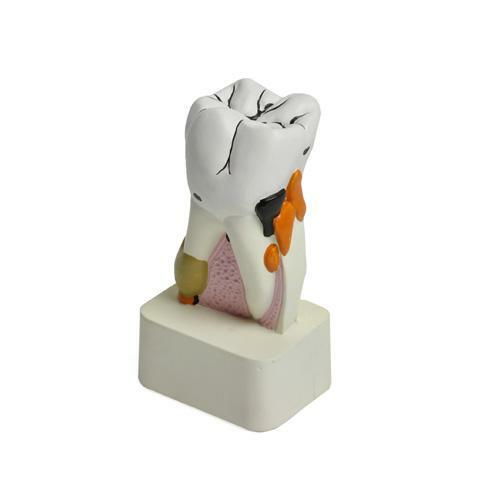 This model shows a molar tooth with different diseases. 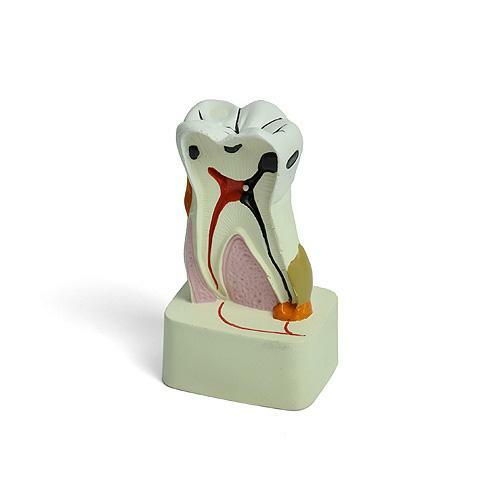 The dental disease model is a cutaway model, in which both external and internal structures are clearly visible. The model is made of plastic and is cast in one piece. Price: On request, from regional distributors (catalogue ref. H130889).